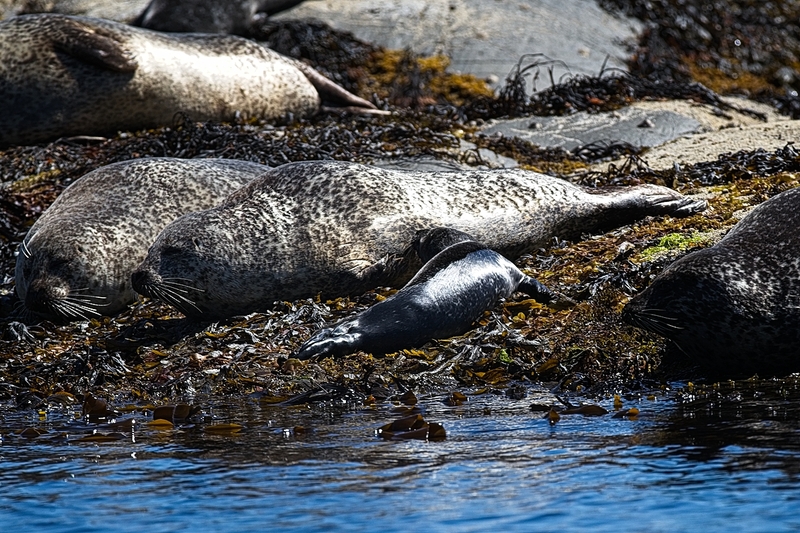 There is a permanent colony of Common (harbour) Seals on the skerries that are found in the bay where the river from Loch Coruisk has its out flow to the sea. 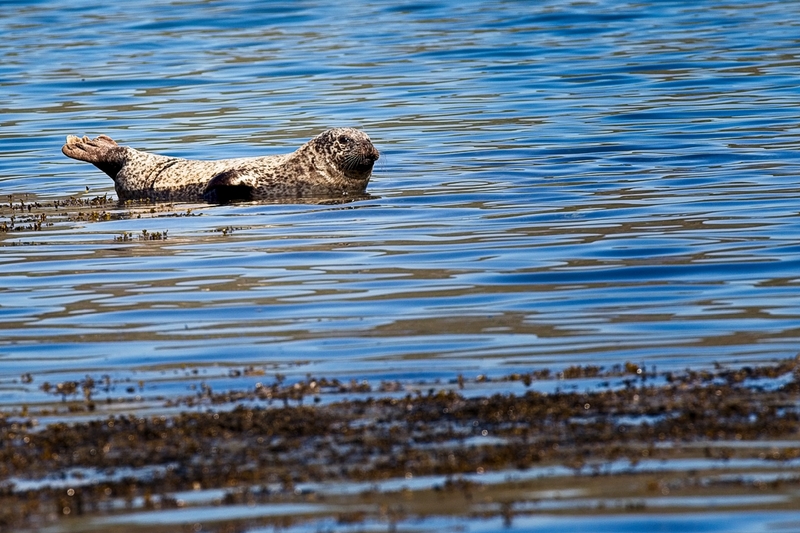 The seals tend to return to favoured haul out sites even though they may travel up to 30 miles to fish, remaining at sea for days at a time. 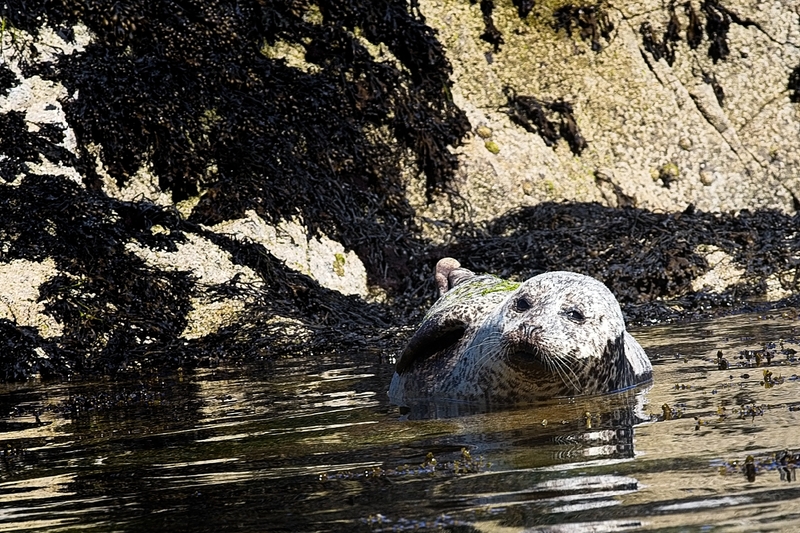 Late June and July sees the arrival of the seal pups wo are weened by their mothers on a very high fat content milk. They rapidly increase in size, althought, they can swin within hours of birth. 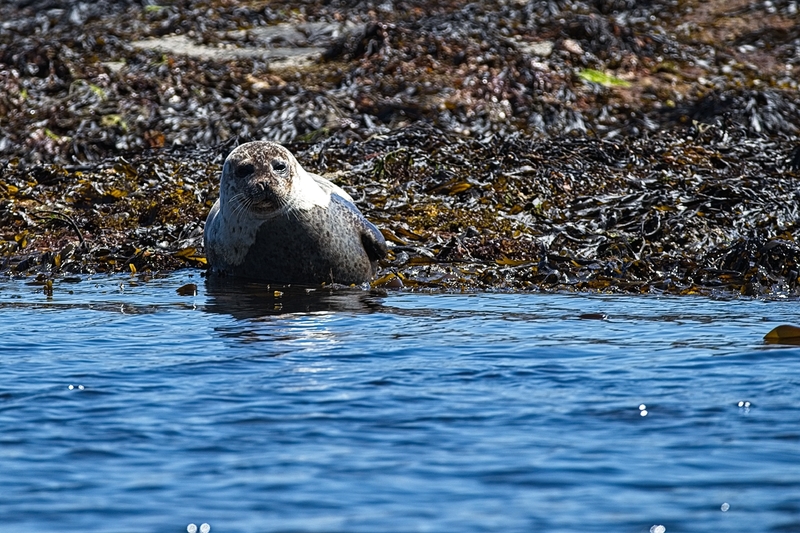 After weening the pups loose some body weight as they learn the skills of fishing and as youngsters may travel wider distances when feeding. 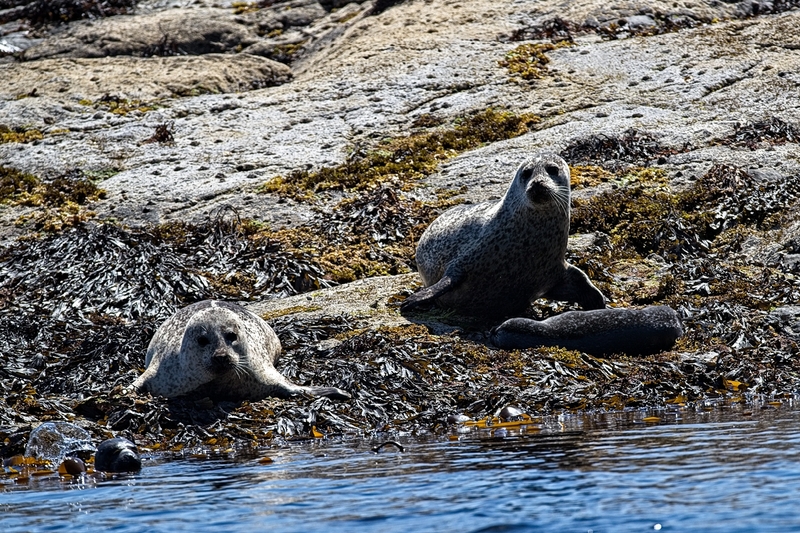 A selection of images with a few showing mother and calf and one where the young pup is looking to suckle. Click on any of the smaller images to see a larger version. Neatly arranged according to size! 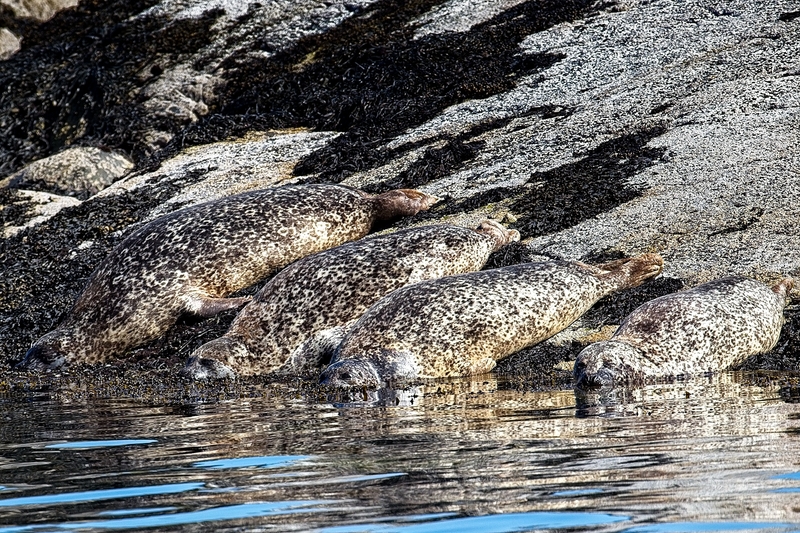 Their speckled fur blends surpisingly well with the rock. 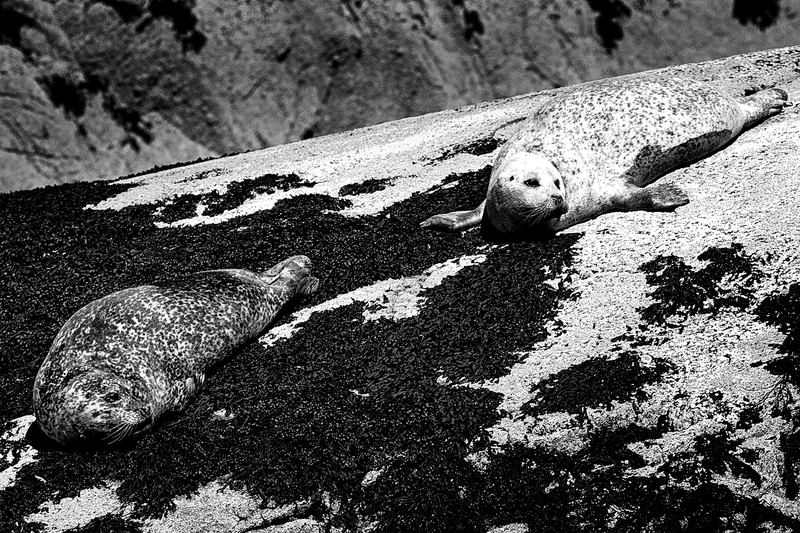 1 of 2 black and white images highlighting the fur colouring against the seaweed and rock. 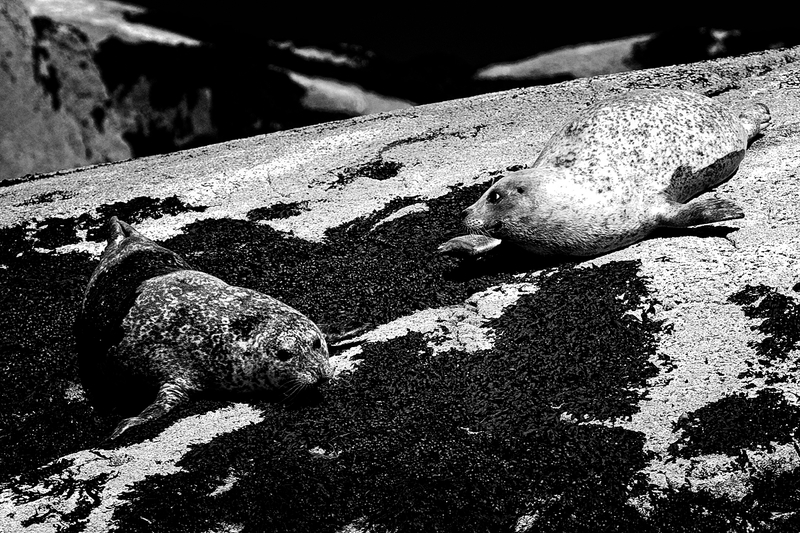 2 of 2 black and white images highlighting the fur colouring against the seaweed and rock.